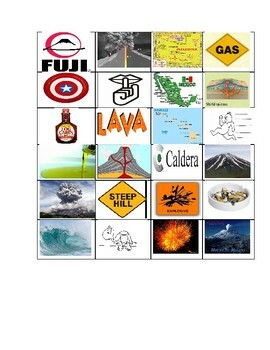 Vocabulary game designed to pair with the FREE Nature of Volcanic Eruptions Notes. Very engaging and good for working in pairs. Have the students race for extra engagement. Rules below. 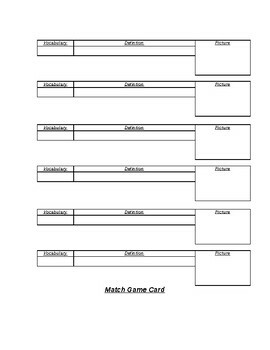 Materials needed: copies, scissors and glue. 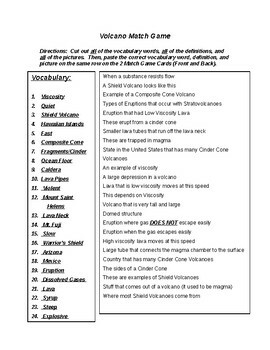 You will get graded by how quickly you cut and glue definitions and pictures to match vocabulary words correctly. 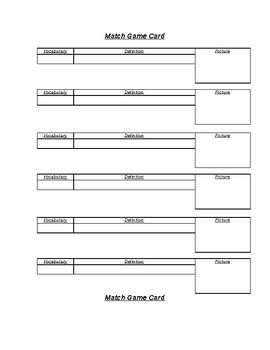 You must cut out EACH vocabulary word, EACH definition and EACH picture then paste them onto a Match Game Card.